2017 In A Sentence: The Hornets were a very young team last year and only managed a 2-9 overall record but did win those two within MEAC play—the team’s fifth straight season with a losing record. Biggest Shoes to Fill: K Wisdom Nzidee was a bright spot with eight field goals and made all under 40 yards last year. In total, he made 14 field goals in his three year career. Key Player: It is not common that a punter is the key player but on a team that is young and likely won’t move the ball makes field position key. Junior Fidel Romo-Martinez is one of the FCS’s best punters after being an All-MEAC performer last year and ranked 4th in the sub-division with a 44.8 yard average. Fearless Prediction: Coach Milstead was a member of three conference title DSU teams from 1988-1991. This is his first head coach job after being an assistant at North Carolina Central and brings 8 years of experience as an offensive linemen in the NFL, where he was a member for he 1995 Super Bowl champion San Francisco 49ers. While at DSU, he paved the way to a leading running attack in all of the FCS in 1990 and hopes to bring that kind of offense with him. 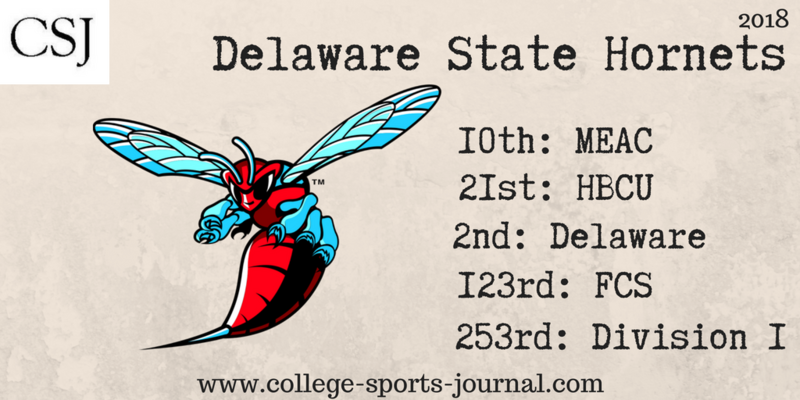 DSU plays two FBS opponents from the MAC in Buffalo and Western Michigan so surpassing the two wins from last year may be a stretch.